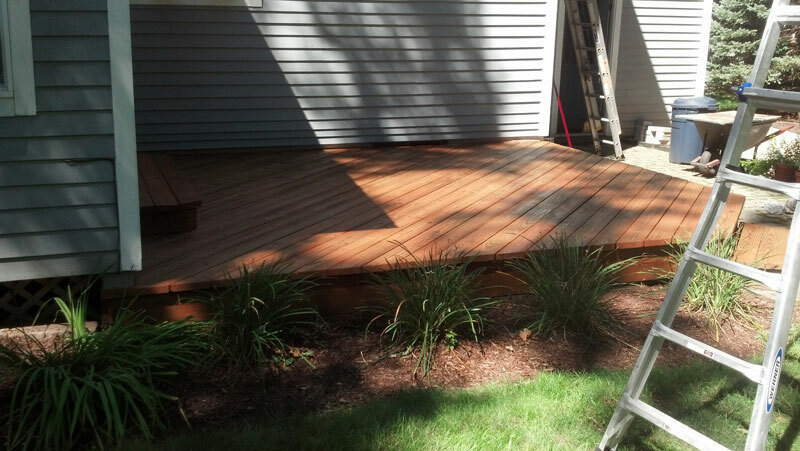 Alan Soucy Home Improvement: Enhance your outdoor living with a deck. 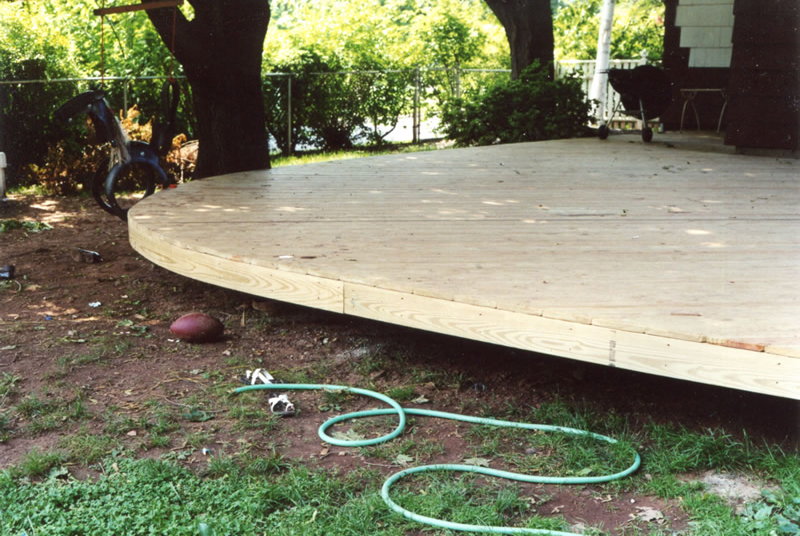 Outdoor living and entertaining is something we all enjoy. 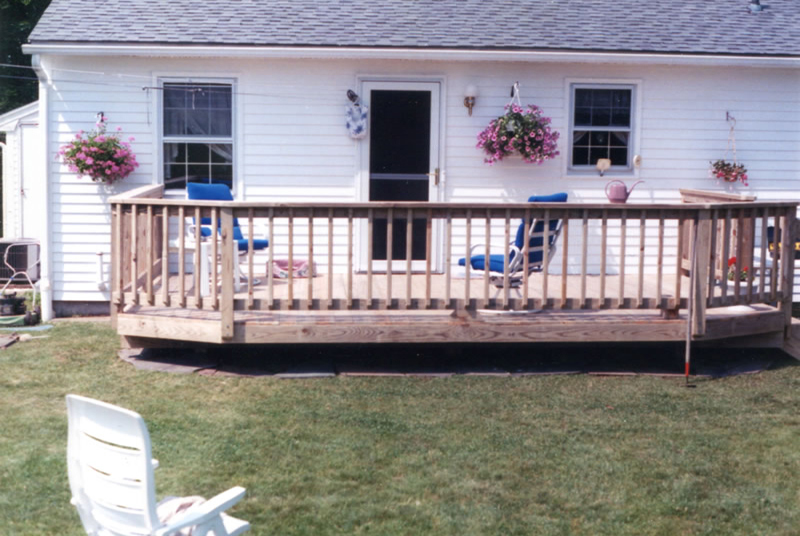 Spending time in sunshine with family and friends is an American pastime. 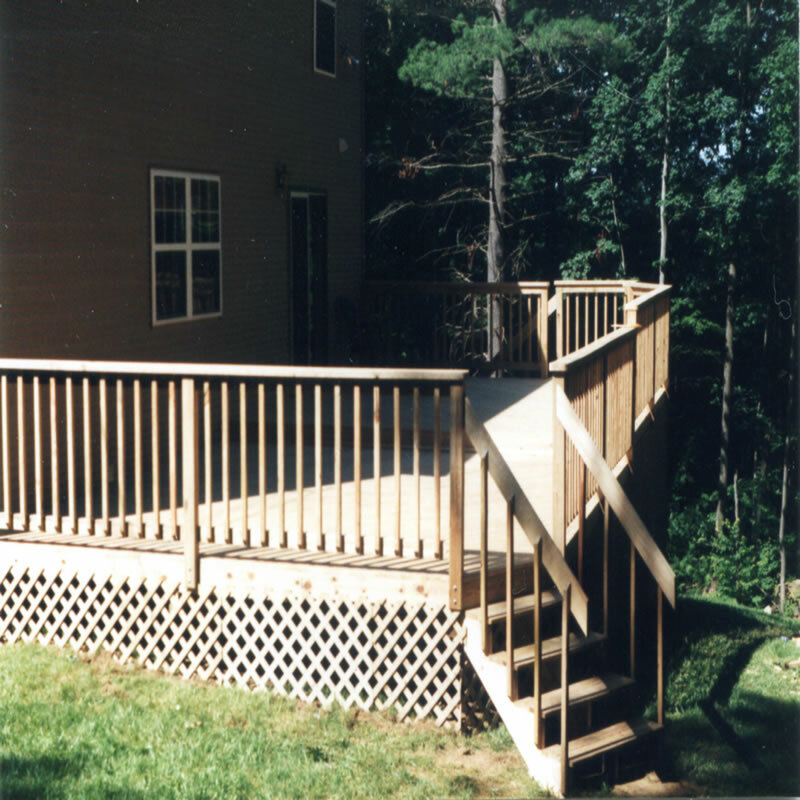 We can work with you to design the deck you've always wanted. 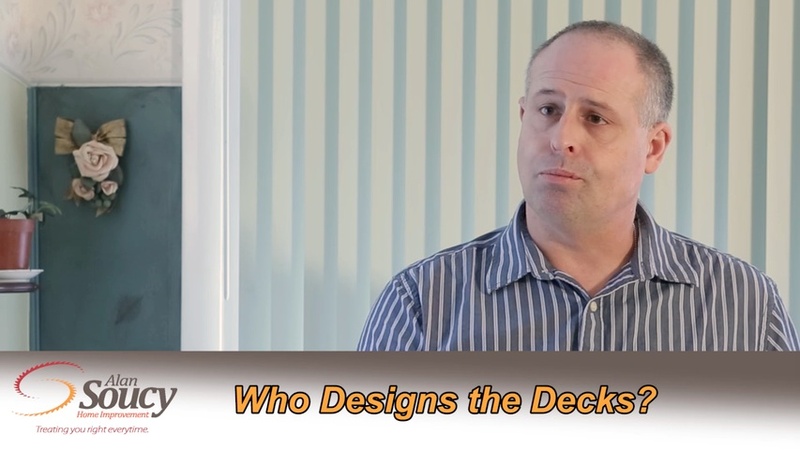 With all the new technology at our fingertips designing and constructing a deck that will last for years is an easy task. The possibilities are endless. 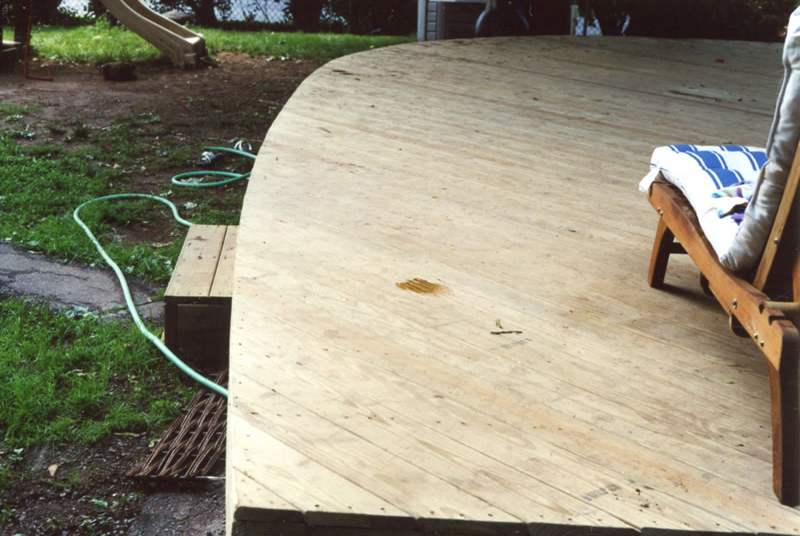 Let the sunshine on your new deck this year and let the parties begin. 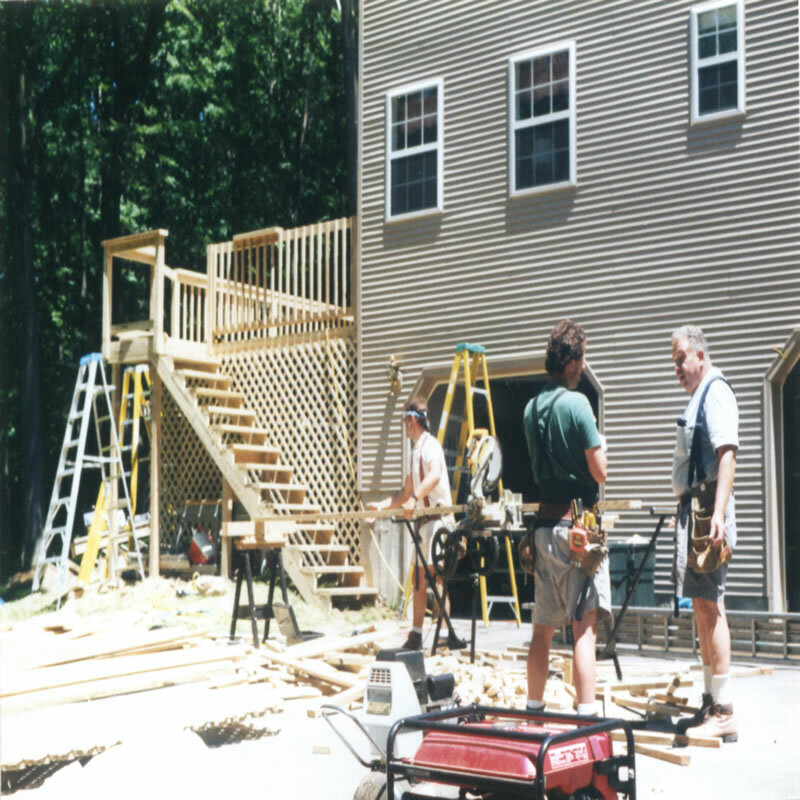 To find out how we can help please give us a call at (860) 657-6462 or just go to our contact page, and all estimates are free. 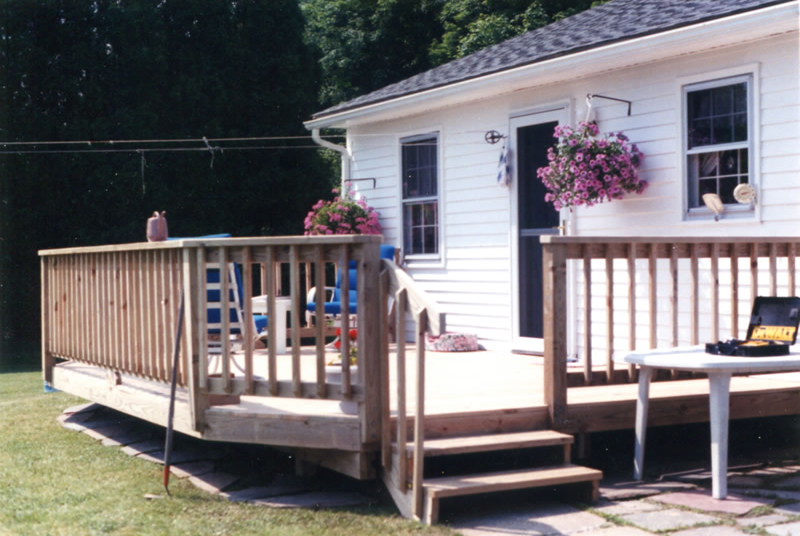 This deck wraps around this split-level home. 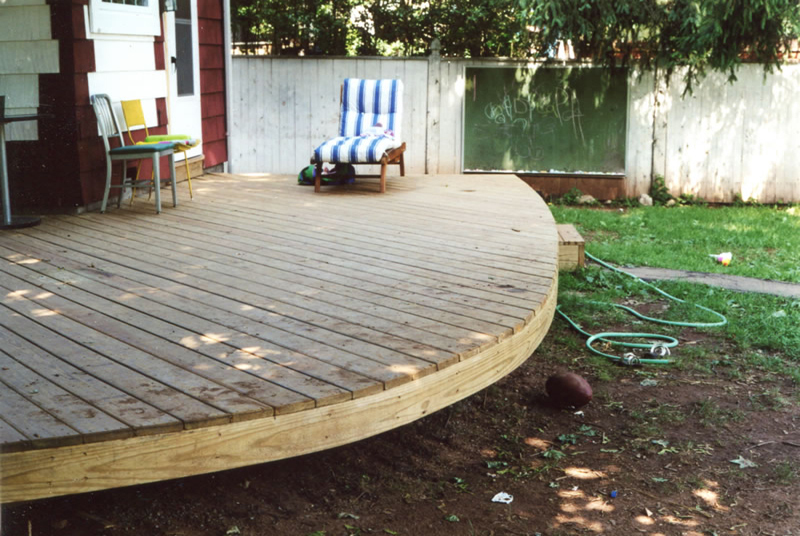 This deck adds an additional exit from the second floor to the yard. 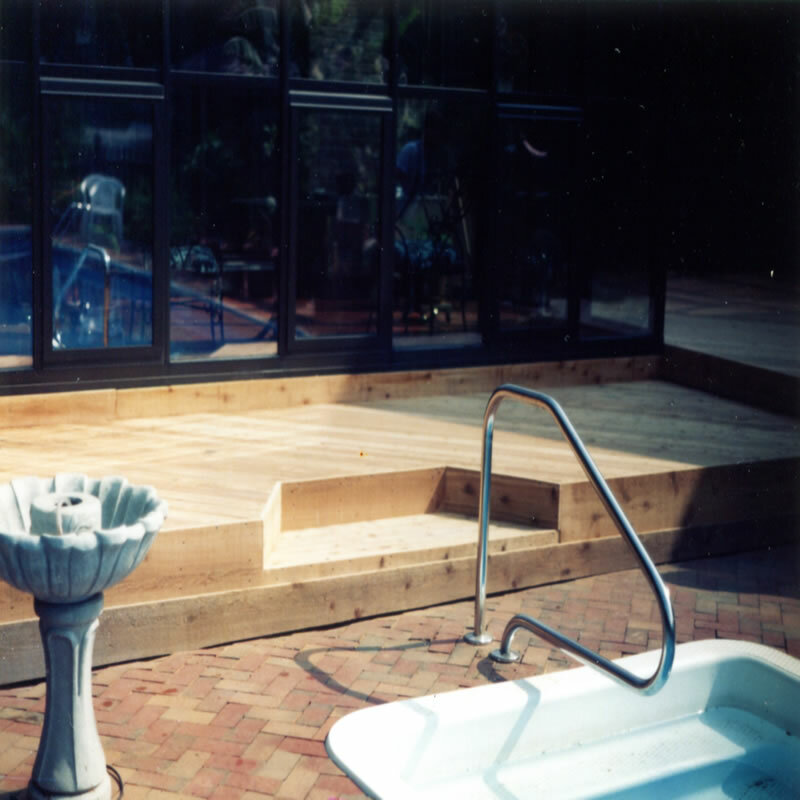 Relax and enjoy your poolscape with the added benefit of a wood deck. 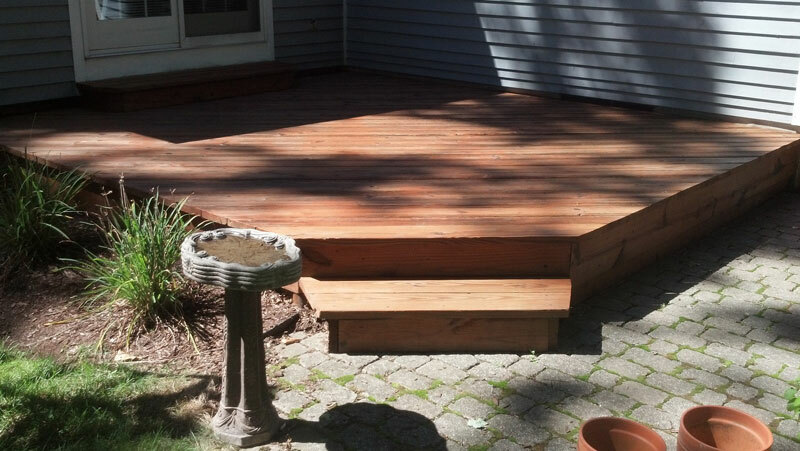 Beautiful Walkout Deck adds life to a drab exit. 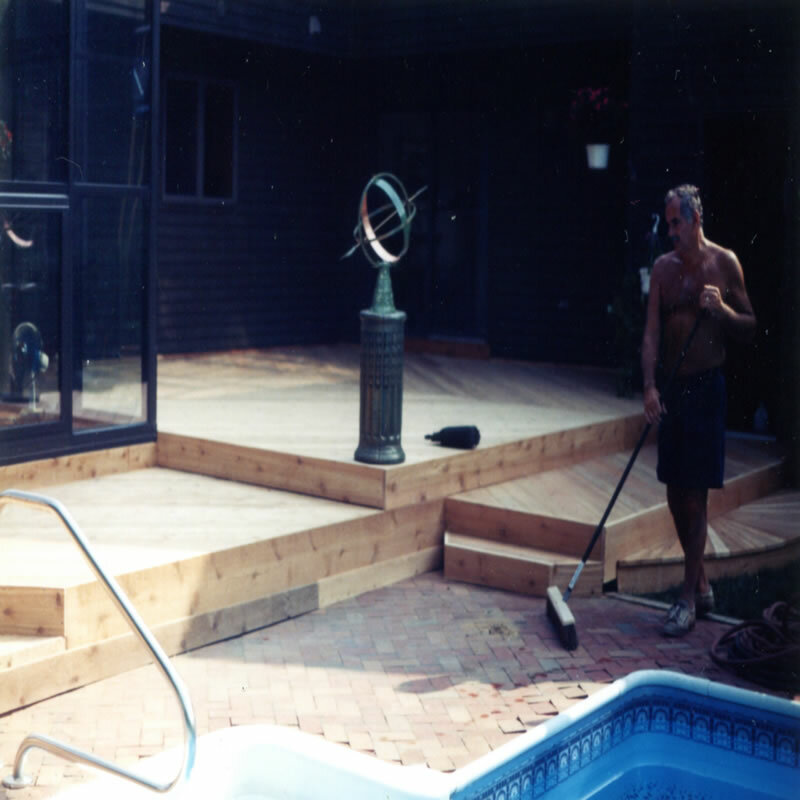 We can add life to a ho-hum deck, give you more space, design a bi-level or tri-level deck that allows you to gracefully transition from one area to another. 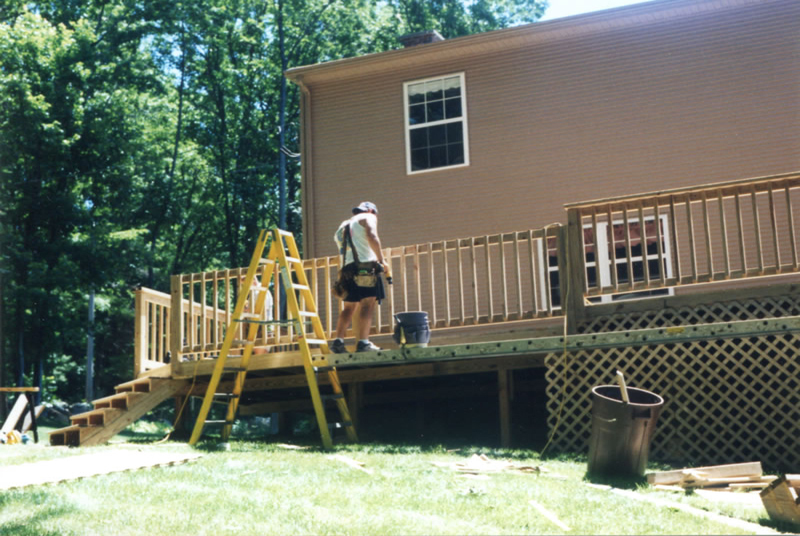 Whether you are looking for a place to get away from it all or space for entertaining, a deck from Alan Soucy Home Improvement will be optimal for your lifestyle. 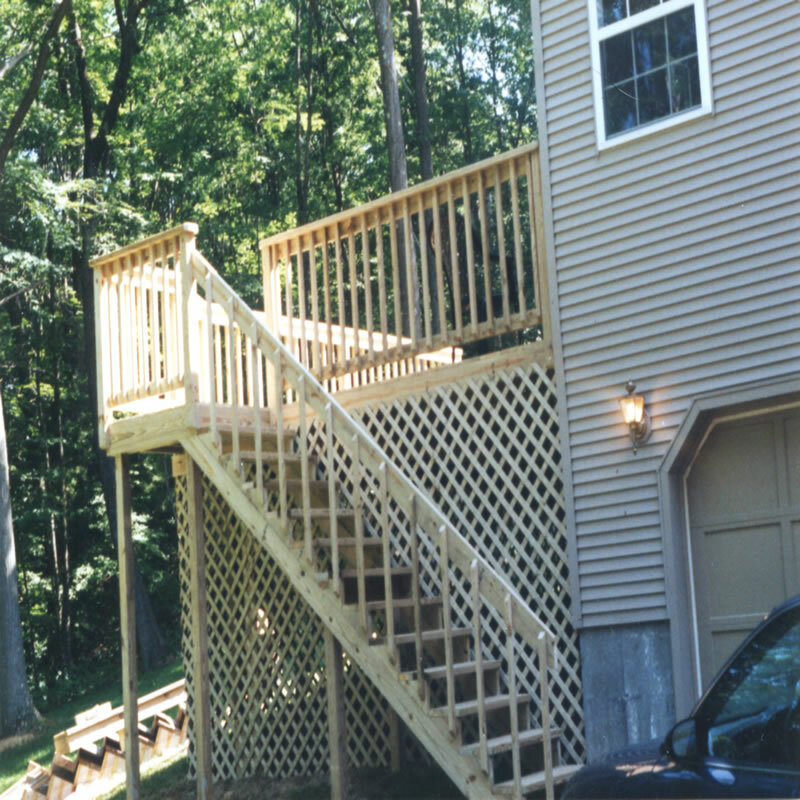 Get started by calling (860) 657-6462 for your free quote.